In the week since President Obama announced that he would raise the minimum wage for federal contractors, there has been growing momentum to do the same for low-wage workers across the country. The governor of Connecticut called on his state legislature to raise its state’s minimum wage to $10.10 an hour and lawmakers in states from West Virginia to Minnesota to Washington are debating changing their own laws. Meanwhile, activists with organizations such as Fast Food Forward and Good Jobs Nation continue to mobilize low-wage workers across the country. 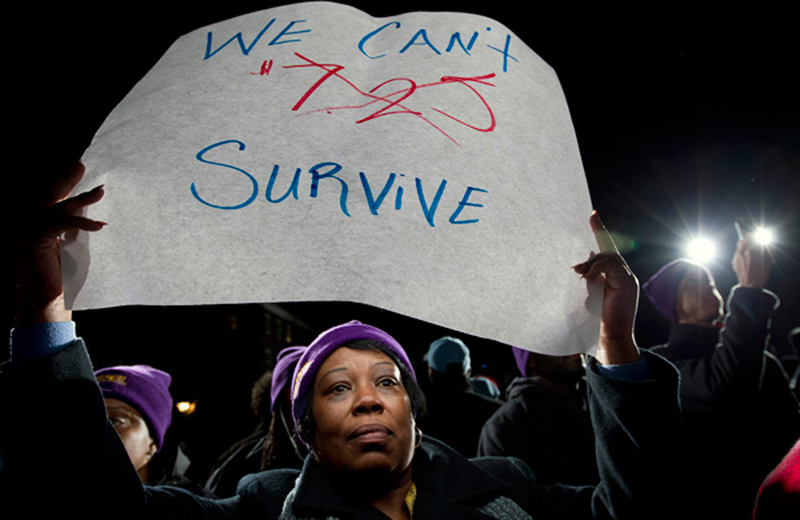 The latest PEW poll on the issue revealed that 73 percent of Americans support raising the minimum wage. While it’s difficult to get any bill through an intransigent Congress, it’s clear that support for this much-needed change is increasing. Join The Nation and Campaign for America’s Future in calling on Congress to pass the Fair Minimum Wage Act, which would raise the federal minimum wage to $10.10 by 2015. Earlier this year, Bryce Covert at Think Progress reported on a study that showed that raising the federal minimum wage to $10.10 an hour could lift nearly 5 million people out of poverty. Last week, MSNBC’s Rachel Maddow pointed out that the popularity of raising the minimum wage could be a real winning issue for Democrats as the 2014 midterms approach.